Lib's Legacy Lives at The Ole Sawmill Cafe in Forrest City. A familiar stop in Forrest City has a legacy that goes back three quarters of a century. Let's take a look at The Ole Sawmill Cafe. cigarette dispenser, a washing machine. The old weathered wood bears signs from discontinued products. But the scent of good food still wafts through the doors. 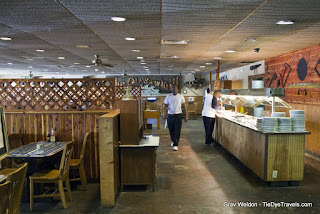 The Ole Sawmill Cafe feels like an ancient edifice, but this building off Interstate 40 hasn't been here all that long. The heritage of this restaurant strings back a few buildings, a few locations, a few members of the family towards the center of town, all of 77 years or better. 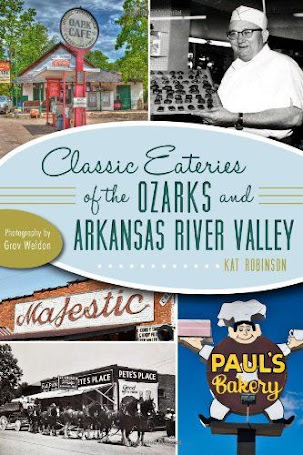 While working on Classic Eateries of the Arkansas Delta a few years ago, I got on the phone with Tom Stewmon, who owns the place today. He enjoyed sharing bits of the past with me. He especially loved telling me about a woman by the name of, I kid you not, Liberty Bell. Her husband Tommy served in World War II, and while he was overseas he’d send money home. Lib used that money to purchase railway dining cars to add to the ends of her streetcar. Tommy came back and worked alongside her – and one day bought a barber shop in town. Lib opened The Liberty Bell in the space next door. Stewmon is Lib's grandson. He told me his mother worked at the old Liberty Bell, too. Lib tried to sell the café several times to her employees – they thought they could run the business like she had, but every time she tried that tactic she ended up buying it back. Tom told me Lib always put an ad in the paper later that would simply say I’m back – Lib Stewmon. 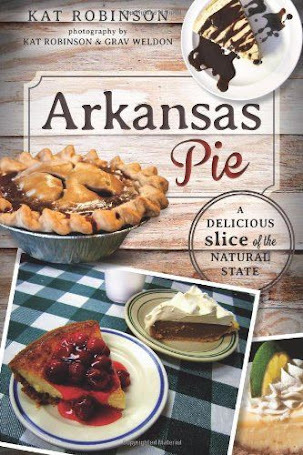 Interstate 40 came through Arkansas in the 1960s and 70s, and Lib could see what was coming. She worked with her son’s brother-in-law Gene – who just happened to be a New York trained chef – to build a new Liberty Bell close to where the new highway was going through. Tom started his culinary career at the new restaurant and moved on to various food and beverage operations. Lib finally did sell the Liberty Bell and retire, but the restaurant was destined to end up in family hands. 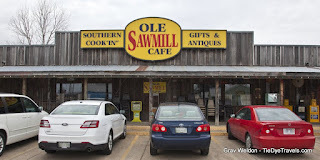 Bill and Sara Stewmon purchased it and renamed it The Ole Sawmill Café, and it operates to this day. It has been some time since I darkened the door, and even longer since I entered the establishment with my camera. I was chatting with a friend about the place this weekend. wandering traveler who's aching for a good breakfast. Breakfast can be ordered by the plate if you really want, but there's not much need. The buffet is significant, with not only bacon and ham and sausage but chicken fried steak fingers, potato cakes, French toast sticks, biscuits, honey butter, white gravy, scrambled eggs, grits and oatmeal. The buffet runs $7.50 but does not include beverages. If the buffet is not for you, I highly recommend the 10 ounce hamburger steak and eggs. The steak seasoning is right on the mark. 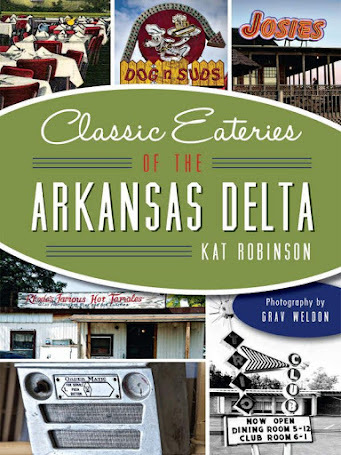 Like a lot of longtime Arkansas Delta Classic restaurants, the menu is vast. 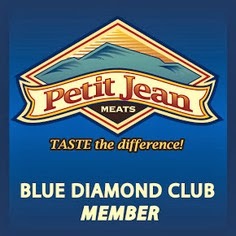 Lunches include pretty fantastic burgers, double-dipped fried chicken, cold cut sandwiches and hot sandwiches as well. Dinners can be steaks, mudbugs and other seafood, more fried chicken, salads... and there's a buffet every night, with a special seafood buffet on Friday, catfish and ribs on Saturday and turkey and dressing on Sunday. 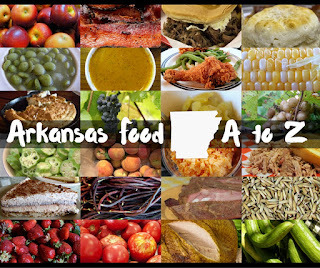 Arkansas Food, or So I Decided To Write A Book.